The modern smartphone is a wonder of modern technology, and in combination with the carrier network can allow you to make calls from the densest urban jungle to Mount Everest. But despite the amazing global coverage of the carrier networks, sometimes it just isn't enough. This is when you need to rely on satellite coverage. And believe it or not, you can add satellite capability to your existing iPhone or Android smartphone. Yes, that's right, you no longer need a dedicated satellite phone. What you need is a Thuraya satellite phone sleeve (SatSleeve). In addition to offering support for calls and SMS messaging, the latest SatSleeves also have satellite data functionalities for emails, instant messaging, browsing and so on. Just slide on the sleeve, and BINGO! You have a satellite phone. Yes, calls and data are going to cost you an arm and a leg (don't be surprised if it adds up to several dollars a minute depending on where you want to use your handset). The SatSleeve comes in two flavors: SatSleeve for iPhone: Adaptor for iPhone 5/5s is inside the package (adaptors for iPhone 4/4s and iPhone 6 are available separately from Thuraya Service Partners) SatSleeve for Android: Adaptor for Samsung Galaxy S4 is inside the package (adaptors for Samsung Galaxy S3 and S5 are available separately from Thuraya Service Partners) The SatSleeve isn't cheap -- around $499 -- but if you need coverage where there isn't a ground-based carrier service, this could very well be what you need. 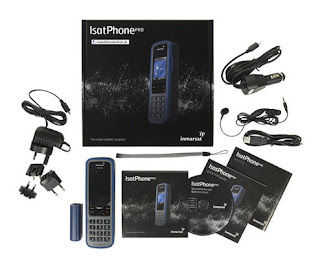 Inmarsat, the leading provider of global mobile satellite communications services, announced the availability of a range of third-party data applications for its global handheld satellite phone, IsatPhone Pro. 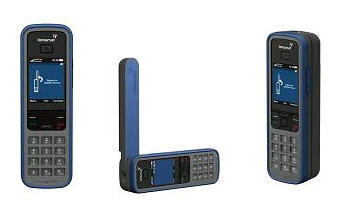 The recently introduced data capability of the IsatPhone Pro, which provides a circuit-switched data rate of up to an effective 20kbps on applications such as plain text email, was in response to the growing demand for basic data connectivity from mobile users equipped with a handheld satellite phone. Inmarsat’s partner network has supported the launch by introducing a range of optimised data applications for the IsatPhone Pro. Applications from Inmarsat’s partners include: AST Onsatmail; GMPCS/Network Innovations Speedmail; MVS FlyCarrier; SatCom Global Horizon; Stratos AmosConnect; and Vizada SkyFile. A generic solution is also available from GMN Xgate. Most of these applications incorporate compression and acceleration capabilities to optimise the efficiency of the data capability of IsatPhone Pro. Although it is possible to make telephone contact through a landline or mobile phone from almost anywhere in the world, there are certain areas where a satellite phone is the only method of communication. Unlike mobile phones which use localised phone masts to connect calls, a call made from a sat phone is sent through a satellite constellation until it reaches the nearest satellite gateway on the ground. It is then routed through traditional voice networks to reach its destination. A call made from one satellite phone to another will be completely routed through satellite constellations to ensure that the call is not affected by any technical difficulties on the ground. This is why satellite phones are essential for communication during disasters such as earthquakes and hurricanes where traditional lines of communication can be destroyed. Satellite phones rely on a clear view of the satellite to make a call so it is important to ensure that the phones signal is not obstructed by trees, hills, mountains, buildings or other similar structures or geographical features in close proximity. When choosing a satellite phone you may want to consider the type of satellites that your handset will use. Iridium and Globalstar use LEO (Low Earth Orbiting) satellites whereas Inmarsat and Thuraya use geosynchronous satellites which orbit at a much higher altitude. 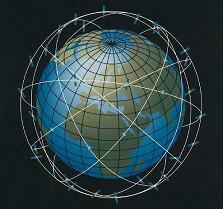 The higher a satellite orbits the more noticeable the latency or delay in call connection and transmission. Channel Five’s The Gadget Show has reviewed a Thuraya XT satellite phone provided by GTC in the deserts of Abu Dhabi. 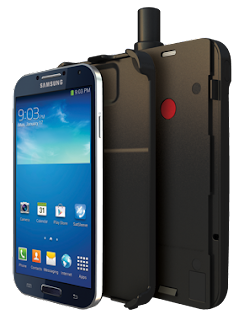 They also reviewed the Iridium 9555 to assess how satellite phones can be useful in remote locations. 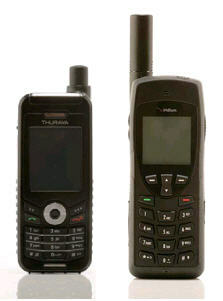 The Thuraya XT is Thuraya’s newest phone and boasts the longest battery life of any satellite phone on the market. It has also undergone testing to prove it’s title as the toughest satellite phone making it perfect for users who need to communicate in the harshest environments. The Iridium 9555 is latest satellite phone in the Iridium range – the only satellite network to offer global coverage. This sat phone can provide a global connection to voice, fax, data and SMS services providing a variety of communication methods in remote areas and is water, shock and dust resistant. It was a close call but the Iridium 9555 was the overall winner with the Thuraya XT winning both the features and battery life categories. Globalstar announced it has installed new hardware and software upgrades at its satellite operations and control center located in Milpitas, CA and its backup control center located in El Dorado Hills, CA. 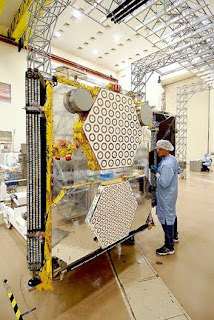 The upgrades, provided by Thales Alenia Space, are required to support the 15-year plus lifespan of the new Globalstar second-generation satellite constellation scheduled for launch beginning in September or early October of this year. The new constellation, also designed and manufactured by Thales Alenia Space, is expected to provide Globalstar customers with mobile satellite voice and data services through beyond 2025. With less than four months to go before they begin launching the second-generation satellites they announce the completion of another major operational milestone, the installation of satellite control center upgrades. As the prime contractor of Globalstar new satellite constellation, Thales was uniquely qualified to design, develop and install the necessary hardware and software control center system enhancements. Globalstar is now testing and training control teams who will manage Globalstar's first and second-generation satellites using the newly installed in-orbit test equipment until they complete deployment of our new constellation next year. The Globalstar Satellite Operations and Control Center (SOCC) upgrades were developed using Thales' COTS product called SCC/Open, with customizations specific to the Globalstar mission. Thales is also upgrading the Globalstar's Telemetry and Command Units (TCU) and In Orbit Test (IOT) hardware and software located at the various Globalstar gateway ground stations around the world. Combined with the SOCC improvements, these upgrades provide Globalstar with the capability to administer increased second-generation satellite constellation mission operations command, support and control with minimal expert staffing and maximum task automation. Satworx Offers First New Satellite Phone for Under $500 ! For the thousands of companies and individuals who rely on uninterrupted communications no matter the conditions, satellite phones just got much more practical in price and weight. Inmarsat’s global satellite phone that we got wind of earlier this year has now become available by various satellite phone providers, Satworx being one of them and is also appearing on eBay. Their $495 price tag for the iSatPhone Pro seems steep at first, but if you’re operating an adventure travel business, disaster-readiness operations or just visiting remote locations then this handset is an invaluable investment. A monthly fee of $19.95 will give you 75 cents per minute talk time. Satworx says that is cheaper than competingsatellite phone company plans by 65%. Built to function in the most severe conditions anywhere on the globe, the phone delivers the most reliable satellite communications with exceptionally clear voice quality with a battery life of up to eight hours talk time and up to 100 hours standby time. The IsatPhone Pro is enabled for satellite telephony, voicemail, text and email messaging and GPS location data. It comes equipped with Bluetooth technology for easy hands-free use and operates over global geostationary satellites that will take users through the year 2020 and beyond. The phone itself is built with an intuitive GSM-style interface with a high-visibility screen and a larger keypad for easy dialing with gloves on. Satellite phone usage and interest have grown exponentially with companies expanding business into remote areas of the world, renewed interest in adventure travel and disaster-readiness plans that command the need for reliable communication. Over 1.1 million people subscribed to satellite phone services in 2009 and that number is poised to grow in 2010. Whether for business continuity plans or emergency preparedness plans, Satworx continues to deliver the most economical solutions that allow companies and government organizations at all levels to upgrade their capabilities while maintaining or even cutting their communications budget by up to 50%. The IsatPhone Pro from Satworx is less than half the cost to purchase and maintain than other satellite phone handsets, which makes it easy to outfit anyone who may be outside traditional cell coverage. The world's lightest satellite phone just got lighter on your wallet. By offering the IsatPhone at the most affordable price point, the technology will be open to more businesses that send their employees to remote locations and individuals who live in areas where having a satellite phone can make the difference in saving lives in an emergency. Owning a satellite phone enables anyone to travel, work or live confidently knowing that in the event of an emergency, their satellite phone will instantly connect them to emergency personnel. The $495 introductory price is available while supplies last. Inmarsat has doffed the covers of its latest global handheld satellite phone, the IsatPhone Pro. The company is said to be a leading provider of global mobile satellite communications services. The device hints at being the “game changer” in the specialist market, as it is available at a reasonable price. The satellite phone from Inmarsat proffers an unparalleled design at the most competitive price point in the market. The device comes loaded with features that it claims are unrivaled by its competitors. The phone is enabled with the market’s longest battery life and the most robust handset asserted by extensive testing. The battery life lasts up to 8 hours of talk time and up to 100 hours on standby. It has been accredited to an IP54 rating, and the device is shock, dust and splash resistant. The handset functions in the widest temperature range from -20 degrees C to +55 degrees C that any satellite phone is capable of operating. Features include a fully-manoeuvrable antenna, a larger keypad for easy dialling in gloves and an intuitive GSM-style interface with a high-visibility colour screen. It offers satellite telephony, text and e-mail messaging and location data can be viewed and sent via text message. The IsatPhone Pro is the first satellite phone to be built exclusively from scratch for the Inmarsat network. The device has been built in such a way to fulfill the need of the user, and work even in the remotest and harshest of environments. The phone is targeted at professional users in the oil and gas, aid, government, media, mining and construction industries. Thuraya's XT handheld is the only satellite phone enabling GPS waypoint navigation services. This unique service allows users to navigate their way to a selected location with the phone providing distance and directional assistance through an electronic compass. Since the users of satellite phones are normally based in outdoor and remote locations, they inevitably require GPS services to reach certain locations and to be reached in the event of an emergency. 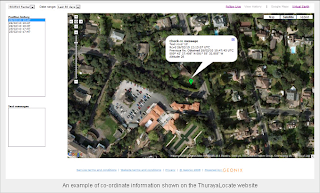 Through Thuraya XT's GPS application, Thuraya's users are able to access several handy and vital services. Most significant is the ability to navigate to a waypoint that is selected by the user. Thuraya XT's GPS services allows you to save your own GPS coordinates and, based on this the phone, automatically calculates the direction and distance to any required waypoint location. Not only that but Thuraya XT is the only satellite handheld in the market that has a GPS Helper function which allows users to consistently and automatically send their location so that they can be tracked. This is an important feature for monitoring and safety purposes and the position tracking can be essential in emergency situations. Only the user can select who is able to track the phone warding off any chance of unwanted tracking and increasing privacy and security. For further reliability, Thuraya XT allows customers to save any route taken through the Location Tracking feature which is useful in difficult terrain. The phone will automatically record your route while moving and it will save the waypoints along the route which makes it a very powerful navigation tool. What is the difference between a satellite phone and a cell phone? Cell phones rely on terrestrial networks to complete a call whereas satellite phones rely on orbiting satellites – the satellite is the equivalent of a cell phone mast. This means that sat phones are ideal for individuals traveling in remote locations where there is no cell phone coverage. It also means that satellite phones are essential in case of emergency such as a hurricane or earthquake – often the local cell phone infrastructure is destroyed which makes calls by cell phone impossible. Although call costs are more expensive using a satellite phone when you are in an area with no traditional communication methods, sat phones are vital. 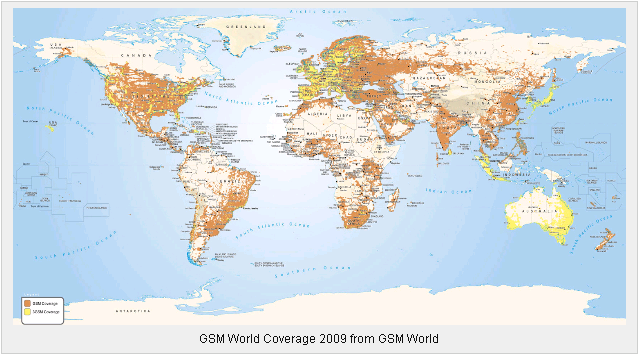 As this map from GSM World shows, there are still vast regions of the world that aren’t covered by GSM networks. Compare this with the Iridium satellite phone network which provides global coverage and you can see how useful satellite phones are. Another difference between satellite phones and cell phones are the handsets used. Satellite phones have a built in extendable antenna which allows the phone to pick up a satellite signal. Apart from the extendable antenna the handsets are now very similar in size and weight to cell phones making them very easy to carry when travelling. It is possible to combine the advantages of GSM and satellite networks in one handset. Thuraya SIM cards allow you to roam on compatible GSM networks when in their coverage area. Even better, the Thuraya SG-2520 functions with both a Thuraya SIM card and GSM SIM card with no phone unlocking required. This means that when you are in a GSM coverage area you can use a local SIM card reducing call costs and meaning you only need to carry one handset. Satellite phones and cell phones both have their advantages but for communication in remote locations a sat phone is the best option.